June started her real estate career in 2002. Her strength is listening to what her clients want and need and helping them achieve their goals whether buying or selling their home. 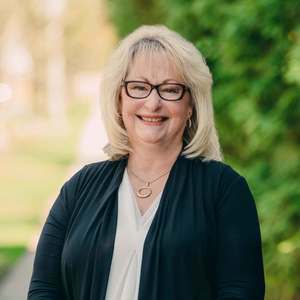 June believes in honesty with clients, and with her knowledge of the real estate market, helps them make educated decisions throughout the real estate process. June also continues to maintain contact with her clients after closing to determine if there are needs that arise so that she can be of service to them, and she provides excellent resources in the real estate industry, such as lenders, attorneys and home inspectors. Since 2012, June has been working with short sales and has an expert knowledge of negotiating with lenders to help homeowners finalize the sale of their homes. Because the process can be long, staying in constant contact with the lenders to make sure they have everything they need helps homeowners from going into foreclosure. Further, with her expert knowledge of the closing process and new disclosure requirements, she can facilitate the process to make the closing a seamless transaction for her clients. A home is where we create our lifelong memories. June loves helping her clients find the home where they can make their own memories. June grew up in Northfield, subsequently moved to Chicago, and is now residing in Elk Grove for the last 15 years.